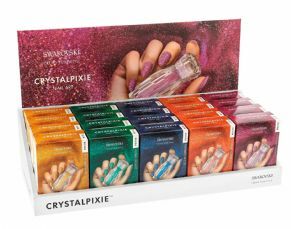 CRYSTALPIXIETM features CRYSTALPIXIETM PETITE and CRYSTALPIXIETM EDGE. Both are for nail application and are made up of Swarovski Crystals. CrystalpixieTM Petite contains smaller crystals, some round, some cut. 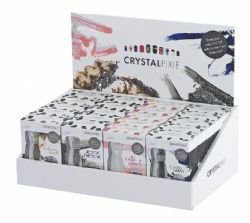 CrystalpixieTM Edge contains a slightly larger bi-cone shaped crystal giving an edgier, rockier look. 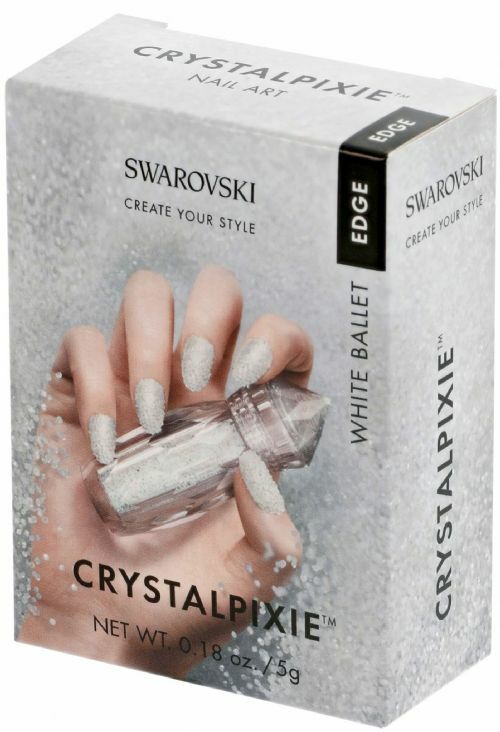 Be it for an everyday occasion or a special event, try out CRYSTALPIXIETM which brings unmatched Swarovski brilliance to your hands.